Allow me to introduce you to the hottest dress of 2018. A MUST HAVE for you Summer 2018 wardrobe. It's extremely comfortable and looks great on every body type. It's also quite versatile. As you can see, you can make it in a different lengths. In a previous post, you saw a long length maxi version. This time around, I made a two-tiered midi version in a linen fabric that I found at Joann Fabrics. 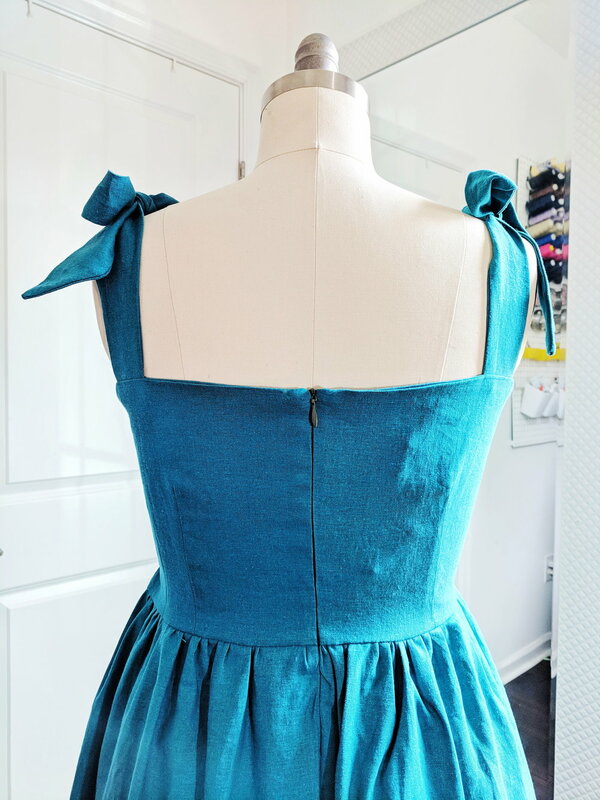 You can also create a tunic/ peplum length. This dress consists of a lot of gathering in-between each tier. Here are a few ways in which you can gather your tiers. Yarn Gathering Technique. Tutorial coming soon! Gathering Foot. (you have to find the one that would fit your machine) Found here.